The recent investigation into alleged news extortion at 21cbh.com, a financial news website under the auspices of China’s 21st Century Business Herald newspaper, is just the latest smudge on the grubby surface of China’s media industry. We can add it to a long list of desecrations, including the shameless media mudfest over the televised confession of socialite Guo Meimei (郭美美) and sensational coverage of prison escapee Gao Yulun (高玉伦). The 21cbh.com case stands as further proof positive that China’s media has entered an era of corruption. In the coming years, I’m afraid, we will continue to see cases and stories like these. 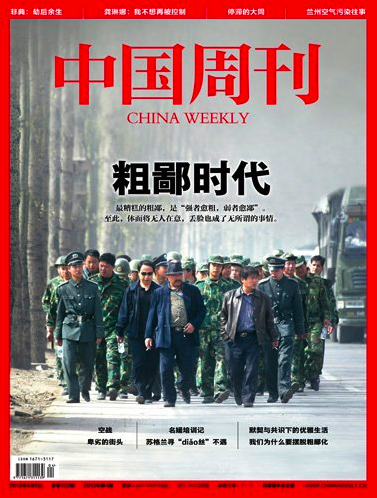 “Age of Corruption” was the cover of the April 2013 edition of China Weekly, the magazine where until recently I was editor-in-chief. Our coverage in that issue sketched an outline of the present age in which we have found ourselves. In our political, economic and cultural life, we are in an age of corruption. And there is no better phrase to capture the ethos of our present-day media industry. Here are some other labels that fit our media: vulgar (粗俗), shallow (浅陋), manic (狂躁), cynical (犬儒), arrogant (蛮横), despicable (卑鄙), shameless (无耻). It would be wrong to point to some past Eden of professional purity. There was no such place. But there was at least a time — counting from around the mid-1990s — when commercial media in China sought a higher professional character as they pursued greater independence in the marketplace. There was a professional esprit de corps that somehow brightened the darker aspects of media practice. These days, the environment grows more and more unforgiving for those journalists and media that still strive for self-discipline, determined not to make the fall from grace. On the one hand, cynical opportunism has become the dominant spirit of our industry. Success is measured by lucre and power, and their attraction to the exclusion of all else is irresistible to most. Meanwhile, institutional factors — both political and economic — work against those who persist in their ideals, raising the real costs of good professional journalism. This perfect storm of moral and institutional corruption has scattered and dissipated those voices within the industry that once served to check the kinds of abuse we see so readily today. You can still hear the vocabulary of professionalism at media gatherings. But a lot of the issues we held near and dear before — like balanced reporting or protecting your sources — have been usurped by talk of revenue streams, changing business models and “venture capital investment” (创业融资). The surest way to elicit general groans is to start the conversation about professionalism. Just say the word “innovation,” however, and you’ll put a glow in every eye. What do we mean when we talk about “innovation”? Well, naturally we mean business. What else could we possibly mean? There is still at least a superficial respect for the idea of pursuing the truth and serving the public interest, but these have been relegated to the margins. In China, we have an ancient literati tradition that emphasizes solicitude for the homeland. We also have the liberal tradition fostered by the newspaper professionals of the Republican Era. And we have, finally, the liberal and professional current that emerged at the outset of the commercial media era in the 1990s and never fully bloomed. But all of these legacies have been rapidly undone in recent years by political and economic pressures and by our darker human instincts. Short-sighted opportunism — the dominant value in our society today — already reigns supreme in a media industry that once, not so long ago, stubbornly resisted such corrupting influences. The logical and real consequence of this is that the professional capacity of the media industry has not only failed to advance along with social change, but in fact has suffered continuous erosion. In the past, you could find journalists striving for professional space even against immense institutional pressures, a process that often required yielding to the second-best choice (like Southern Weekly‘s old battle-cry, that while there might be truths that could not be told, they would not tell outright lies). Now, even this instinct is lost among media leaders and editorial staff. With experienced professionals few and far between, expedience is now the name of the game. Online rumors are accepted as “news” without any effort to confirm, fact-check or actually conduct interviews. This is so frightfully common you can even find it at well-regarded media that consider themselves serious professional players. Our content has become homogenous and superficial. I doubt you could find any time when reporting and writing in our media was so degenerate. These days, news stories slip carelessly into snap political judgements. Even profanity is used without care. We all know the tendency our online media have to fish for readers with the sensationalizing of headlines. We now use the term “headline party,” or biaotidang (标题党), to refer to those who practice this special form of opportunism. But even our so-called serious media can be found hyping female sexuality on the front page or in prominent headlines. There’s almost nothing we won’t do, however undignified, to attract the all-important eyeball (吸引眼球). When an official news release came out on the “confession” of Guo Meimei, we threw professional conduct and ethics aside entirely, becoming nothing more than an attack mob. Everyone used the information in the release and not a thing more. We didn’t even bother to attempt the most perfunctory of interviews. Have we really abandoned the high road for the low road? 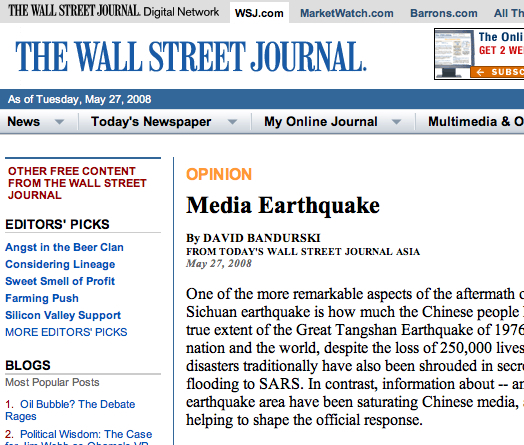 There are still media in China struggling to hold on to their professional standards. There are still journalists doing their best to take the high road, pursuing truth for the betterment of our society. But we cannot deny that the travelers on that road are an ever rarer sight. Nor can we deny that the other path grows more crowded by the day. This article is a translated and edited version of a piece appearing on Tencent’s Dajia platform on September 17. 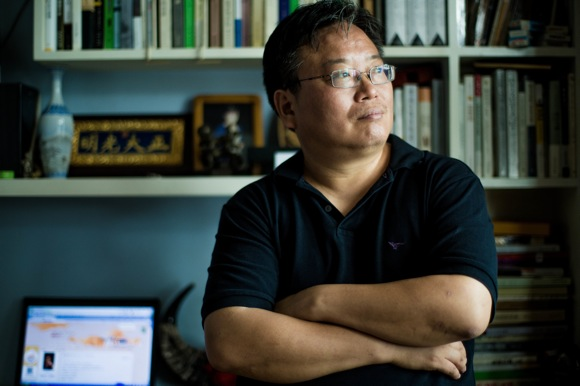 Zhu Xuedong (朱学东) was the editor-in-chief of China Weekly magazine until his resignation earlier this year. He served formerly as deputy editor-in-chief at the Information Morning Post, executive editor-in-chief at Media magazine, and editor-in-chief at Window on the South. He is now working as a freelance writer.